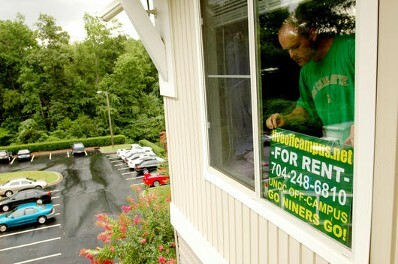 With close to 300 bedrooms we are the largest privately owned provider of off-campus housing @ UNCC! By being so close to campus you don't need to drive to class so you save on gas, avoid parking hassles and expensive parking fees on campus. We offer our residents an ideal environment of convenience, comfort and privacy that no other housing comes close to matching. Our spacious condo floorplan comfortably accomodates four tenants (three tenants in our townhomes, two tenants in our garden apartments). Our properties have a fully equipped kitchen that rivals many homes by including full-size overhead built-in microwaves (condos only), top of the line automatic dishwashers, electronically operated range oven and a laundry room inside the condo equipped with full size washer & dryer units. 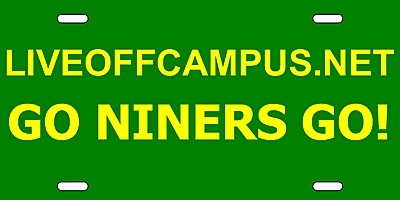 Outside in our fully lighted parking area, each tenant has his/her own private parking space. All this and more, right across from campus. We take great pride in providing quality housing and our number one job is to make sure that our tenants are happy because happy tenants are tenants that want to stay longer and happy tenants are our best advertising. - Within walking distance of UNCC and plenty of shopping nearby (Concord Mills Mall is a 5 minute drive). I-485 and I-85 are close by, Charlotte Douglas Airport is a 15-minute drive, Concord Regional Airport is a 10-minute drive and downtown is about a 15-minute drive. Our condos are also located minutes from Wachovia, TIAA-CREF, IBM, Hilton, University Hospital and Lowes Motor Speedway. Shopping in the area includes BestBuy, Walmart, Circuit City. Restaurants in the area include: R.J. Gators, Monterrey's, Provident Bistro, Zapata's, and Outback Steak House. Ikea is coming soon! Please see the below map for location highlights. 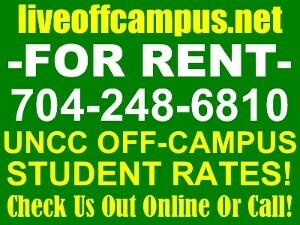 Look for our distinctive FOR RENT signs on our windows!